After a holiday in Jandía, Fuerteventura (Canary Islands), I started thinking about the possibilities of making 3D art inspired by the stunning seaside. 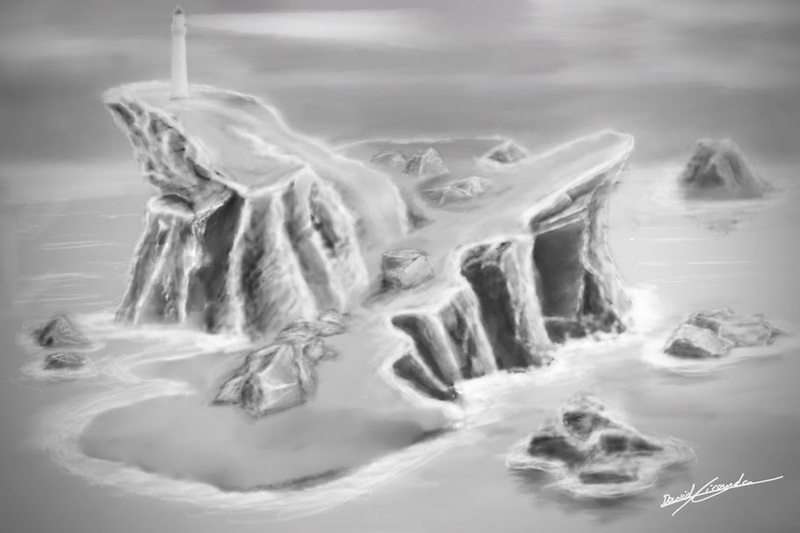 Before starting modelling important stuff, I decided to sketch out my idea: a lighthouse on top of a cliff. This was my first attempt at concept art.